If you follow kaNO on Instagram, then you know he’s been hard at work these past few months designing all of the badges for this weekend’s Designer Con! 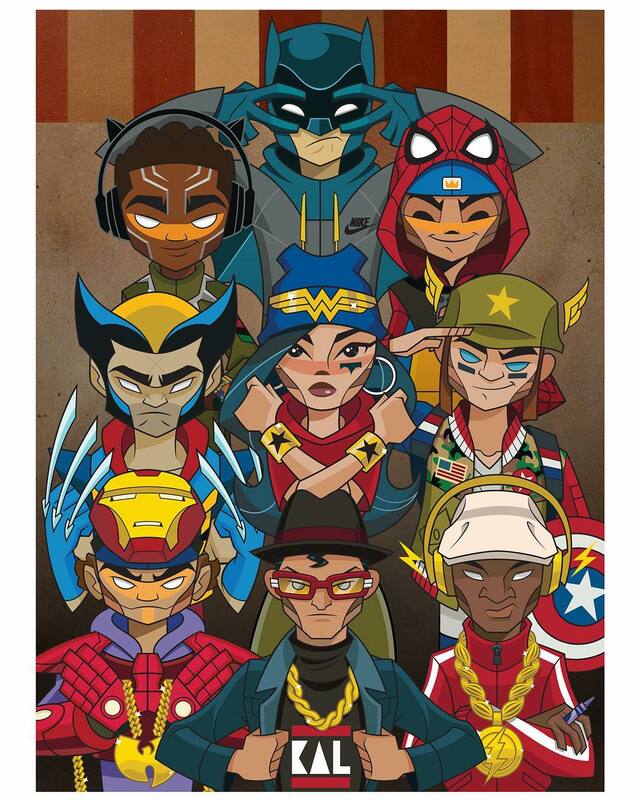 The Blot’s been drooling over this year’s DCon badges as each one features a different Marvel or DC Comics super hero in kaNO’s unique art style with a heavy dose of influence from ‘80s and ‘90s hip-hop. Even better still, he’s combined all nine characters into one epic Designer Con 2017 exclusive print. Which kaNO super hero is your favorite!?! While kaNO hasn’t announced the full release details about this print yet, The Blot highly recommends finding him at a DCon booth and picking up this print. 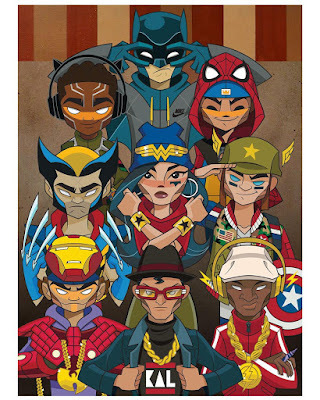 The Designer Con 2017 Exclusive Heroes giclée print by kaNO is a signed and numbered 18”x24” print on Moab Estrada 290 gsm cotton rag paper. It is limited to 30 pieces and can be purchased at kaNO's DCon booth #618 for $65.